​This is another instance where little is known. 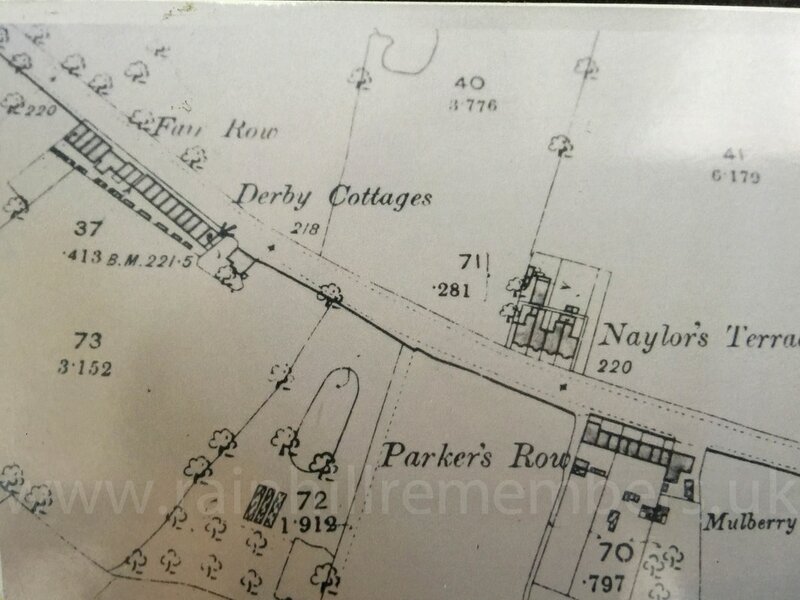 Thomas was born in 1899 at Derby Cottages the son of John & Esther Ball. Derby Cottages are now demolished, but they stood on Warrington Road near the Holt. By 1911 there had been additions to the family and Thomas had two new brothers Alfred (5) & Joseph (2), there was also a boarder Charles Naylor (49) a Railway Clerk. The outbreak of war saw Thomas enlisting not locally, but in Southport. All that is known of his service is that he was "killed in action" on 13th May 1917. At a special ceremony at the Warrington Road Cenotaph on Sunday 3rd July 2016, Rainhill village dedicated a new plaque bearing the names of 17 men with Rainhill connections who perished during WW1. These men's histories were found during Rainhill Civic Society's research. Rainhill Parish Council funded the plaque and organised the ceremony with Rainhill Civic Society, our local Churches and the Royal British Legion. Thomas James Ball is one of those names. 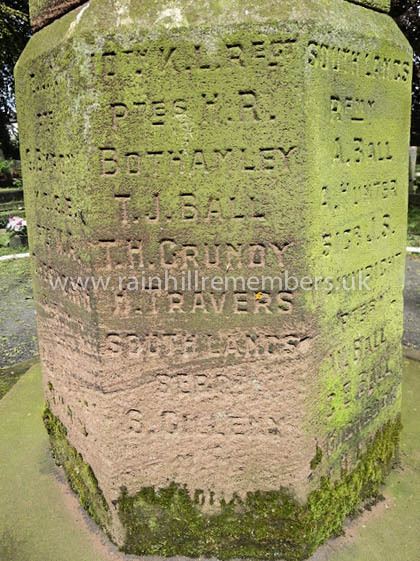 The name of Thomas James Ball of the King's Liverpool Regiment, 10th Battalion is inscribed on the WWI Memorial in St. Ann's Churchyard.